I am a firm believer in that a girl can never have too much jewelry – especially when they are big bold statement pieces from Traci Lynn Fashion Jewelry. I absolutely love every single piece in this incredible collection which includes earrings, necklaces, bracelets, rings, foot jewelry, men’s accessories and even handbags! Traci Lynn Fashion Jewelry began in 1989 but launched as a direct sales company in 2008. Since then they have been growing a team of dynamic business owners around the country with a strong sisterhood of support and encouragement. Independent Traci Lynn Fashion Jewelry Consultant Coretta Campbell sent in the Duchess Choker for this year’s Diva Holiday Gift Guide. This unique piece is absolutely stunning and I love how unique it is! 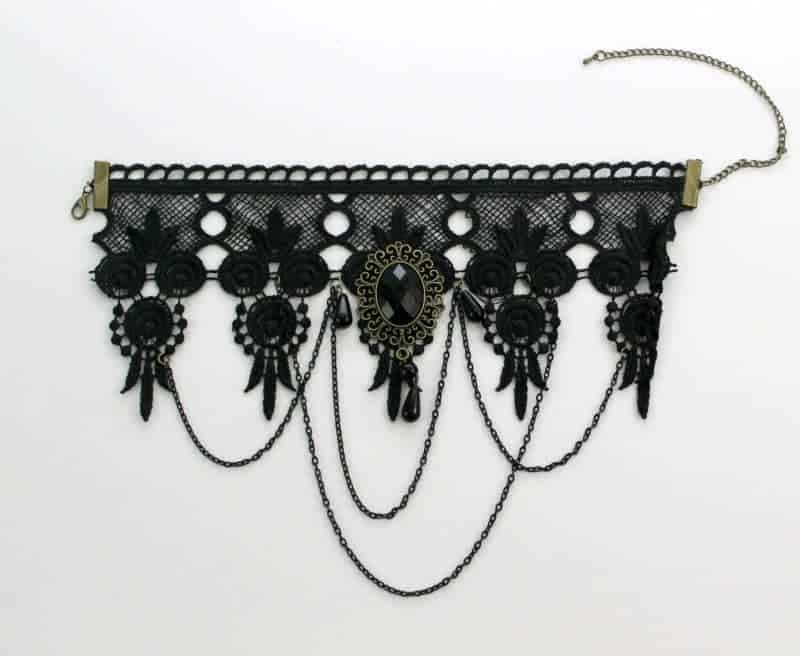 I normally am mesmerized by how much sparkle Traci Lynn Jewelry has – but this is made of an intricately woven lace with a beautiful shiny black brooch. I can not wait for an occasion to wear this piece – I just know it is going to be a conversation piece for sure – that is if I can keep it away from my college-aged daughter who wants it for herself! You can purchase Traci Lynn Fashion Jewelry products directly from Coretta’s website or host a party to earn free and discounted products of your choice. If you want even more, consider joining Coretta’s team to build a business with this beautiful, bold brand with a truly hands-on CEO and generous compensation plan! Check out Coretta’s website to learn all about how you can get involved with Traci Lynn Fashion Jewelry!